While fad diets have been around for many years, each promising different results ranging from weight loss to higher energy levels, gluten-free diets have certainly caught on recently. While there are diagnosed medical reasons to eat gluten-free, many people who have shifted to that diet might not actually need it. An estimated 1 in 100 people have celiac disease, an autoimmune disorder where eating gluten causes damage to the small intestine, while about six times that number are thought to have a non-celiac gluten sensitivity. The most common culprits of gluten come from bread and baked goods, pasta, cereal, and beer, plus there are many foods that may contain less obvious sources of gluten, like certain sauces, soups, and salad dressings. 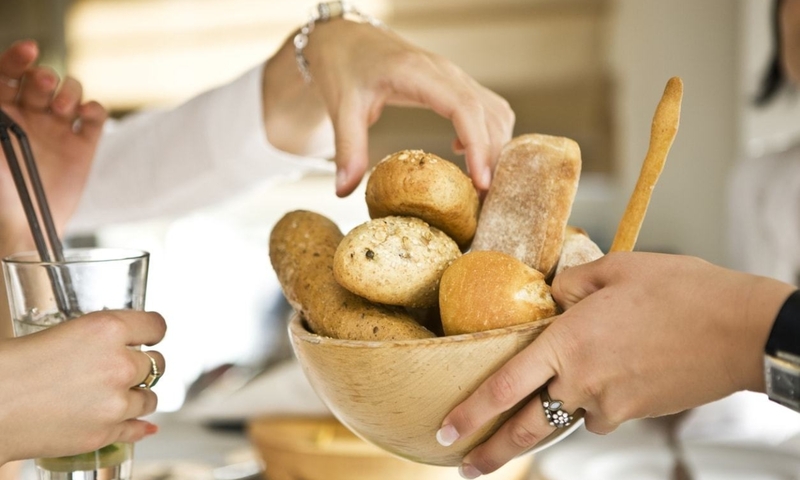 There are many doctor diagnosed reasons to cut gluten from your diet, but new research indicates you might want to reconsider a self diagnosis and self-imposed gluten-free diet and discuss your options with your doctor before seriously changing how you eat. A recently published study shows that it might not be the gluten that’s causing you discomfort, but a different element in your food called fructan. Fructan is a carbohydrate found in wheat and certain vegetables and is much less frequently talked about than gluten. This lesser known carbohydrate has recently been linked to causing gastrointestinal distress and it is thought that it might be more of a problem than gluten. A recent study from the University of Oslo in Norway and Monash University in Australia showed that fructan actually caused more gastrointestinal distress than gluten when consumed in a double blind study. The study followed 59 participants who were all on self instituted gluten-free diets as a result of assumed sensitivity to the ingredient. One major note about the study is that none of the participants had celiac disease. Over the course of close to a year and a half, the 59 participants consumed muesli bars containing either gluten, fructan, or a placebo, and recorded their digestive reactions afterward. Symptoms were recorded on the GSRS-IBS scale, a method of measurement for gastrointestinal symptoms of irritable bowel syndrome (IBS). When analyzed, it indicated that the group recording the highest level of symptoms came from the fructan group. So Should We Avoid Fructan Instead? It is important that you not make drastic changes to your diet due to one study, but it does pose information that is worth discussing with your doctor. If you have a diagnosed gluten intolerance or celiac, stick with the current recommendations from your doctor unless otherwise instructed. If you have a self diagnosed sensitivity, there is a chance you could be avoiding the the wrong ingredient in an effort to make yourself feel better. Before you start making big changes, make an appointment at Cary Gastroenterology Associates for an assessment and diagnosis to what might be causing your stomach troubles.